The Corfu Port Authority was informed in the afternoon of April 11, 2019, that a 71-year-old passenger of the "Costa Deliziosa" had suffered a heart attack and needed immediate transfer to a hospital. The ship was headed north of Corfu where a patrol boat took the patient on board and transported him to the port of Corfu and from there he was transported by ambulance to the General Hospital of Corfu. On Sep 26, 2018, the Port Authority of Corfu was informed by the agent of the "Costa Deliciosa" that a 54-year-old crew member had fallen ill and had to be disembarked. He was transported by ambulance to a private clinic where he remained hospitalized while the cruise ship left the port in the evening bound to the port of Split. 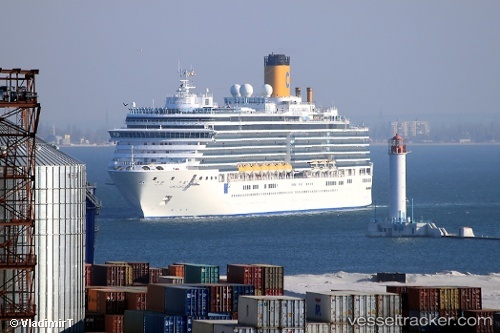 In the morning of Sep 11, the Port Authority of Kefallinia was informed by the naval agency of the "Costa Deliziosa" about the death of a 68-year-old passenger. The cruise ship berthed at the port of Argostoli, where the body was transferred to the General Hospital of Kefallinia. A preliminary investigation was carried out by the Port Authority.